Profile: Telefonica I+D (TID) is the innovation company of the Telefonica Group. Telefonica I+D was founded in 1988 and it contributes to the Group’s competitiveness and modernity through technological innovation. To achieve this aim, the company applies new ideas, concepts and practices in addition to developing advanced products and services. It is the largest private R+D centre in Spain with respect to activities and resources, and is one of the most active companies in Europe in terms of European research projects in the ICT sector (Information and Communication Technology). It collaborates with technological leaders and numerous organizations in 42 different countries. In addition to the numerous technical awards that the company has won since its foundation, it received the Principe Felipe Award for Business Excellence in 2002. 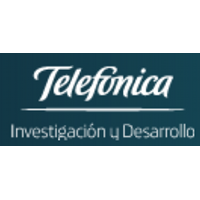 In 2006 Telefonica I+D formed the Research group with the aim to carry out research studies, in mid- to long-term perspective, which are related to several technological areas of interest to the Telefonica Group. The Research group follows an open research model in collaboration with universities and other research institutions, promoting the dissemination of their work both through publications and technology transfer. The board is constituted of a multi-disciplinary team with a variety of skills that include systems, machine learning, networking, signal processing, HCI, and data mining. In particular, Telefonica I+D Research group focuses on Fixed andWireless Networking, Online Social Networks, User Modelling, Machine and Deep Learning, Distributed Systems, Multimedia Analysis, HCI and Mobile Computing, Network Economics, Security and Privacy. Expertise and Role in CONCORDIA: TID will bring in the consortium a telco use-case, related to privacy and anonymity of users, define industrial requirements and constraints, and will test solutions provided by the consortium on this topic. In addition it will leverage experience on analysis of peer-to-peer networks, distributed system design, real-time bidding advertising protocol analysis, user data privacy leakage detection, privacy auditing, stream processing, real-time data collection, as well as machine learning, and deep learning, and will design methods for privacy-oriented tools.